As is often the case when I’m feeling blue or even trying to fill time, my last trip to Paris was my touchstone. And now as my beloved City of Light is a victim of terror, I stand with her since she was my respite at the end of one of my worst years. While I would lean on that trip 15 years ago to center me, other places I’ve discovered since are also instrumental in keeping me sane. 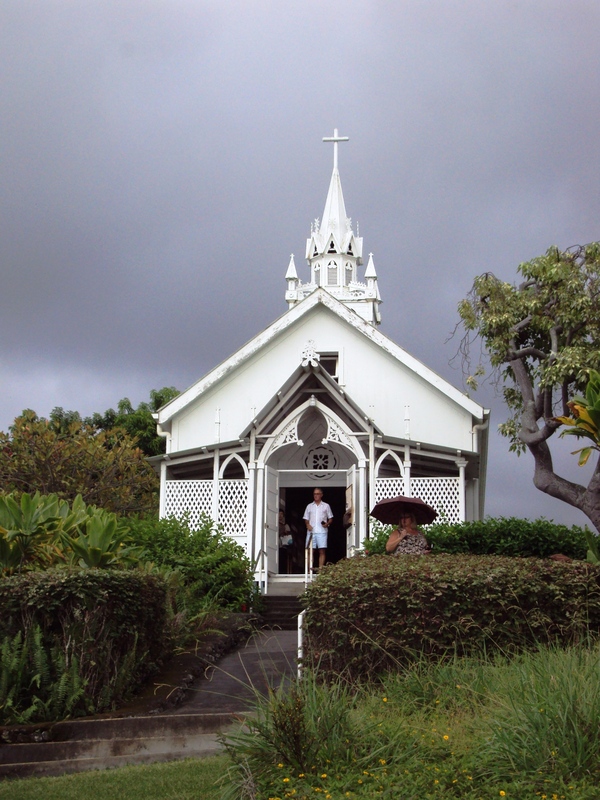 A highlight on my recent trip to Kona in Hawai’i was a historic landmark in Kealakekua known as the Painted Church or St. Benedict Roman Catholic Church. 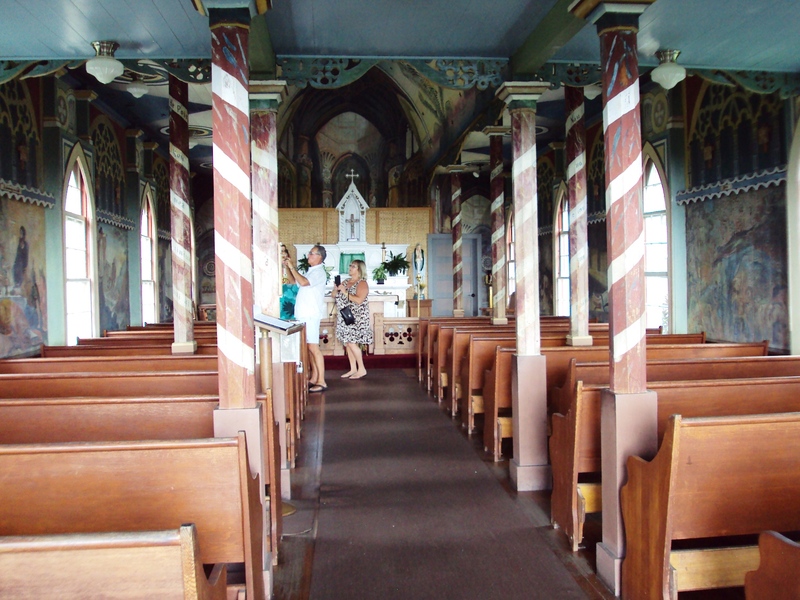 The moniker was given due to its colorful interior of biblical figures and stories rendered by the parish priest Father John in the mid-1800s. 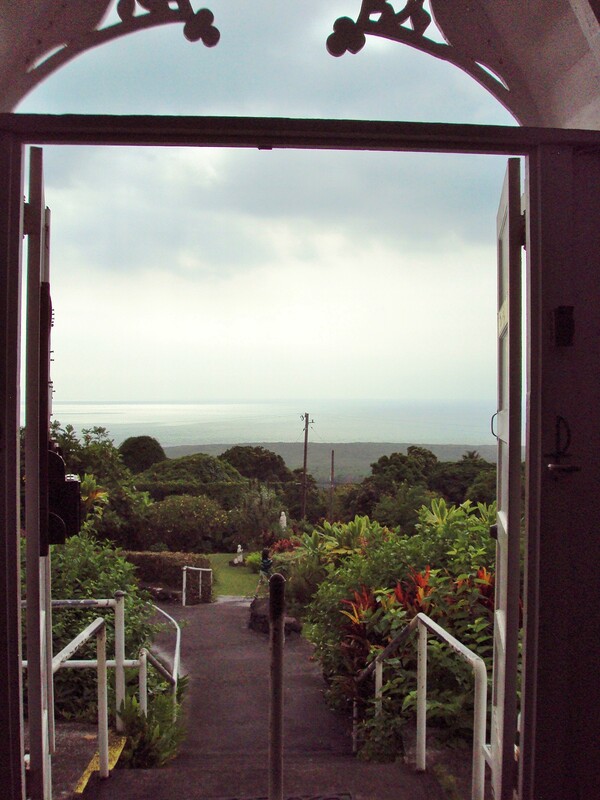 When we drove up, it had started to rain, turning to mist, just as it would in Paris or once in Berkeley when I would fall in love for the first time. The moment was both enchanting and spiritual, and I was most present and connected with my fellow travelers, this time with my brother, his wife, my nephew and my parents, just as I was with those whom I went on my Paris trip. I remember being at a younger age not having the foresight how my life would be as I got older, perhaps because I didn’t know how long I would live. But if there is one constant through the years, it is my family, and I would count on them for the spiritual love that I am seeking.